The hotel is a three story building with 129 rooms. The hotel is located in the heart of Chandlers Hi-Tech district on West Chandler Boulevard, located right next to the Chandler Fashion Center. World of Hyatt members can enjoy our complimentary breakfast when they book an eligible rate. Our breakfast includes premium ingredients, cage-free eggs, and regional chef-inspired dishes. Pet Policy: 1-6 nights a 75 USD non-refundable fee. 7-30 nights a 75 USD non-refundable fee plus an additional 100 USD cleaning fee. Maximum of 2 dogs per room are permitted. Weight must be 50 LBS or less max of 75 LBS per room. Fees are in USD. The hotel is a three story building with 129 rooms. 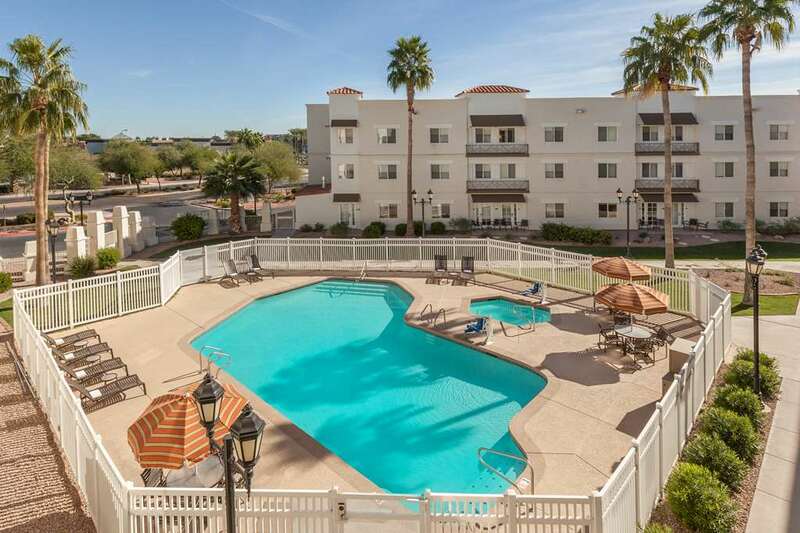 The hotel is located in the heart of Chandlers Hi-Tech district on West Chandler Boulevard, located right next to the Chandler Fashion Center.